It may come as no surprise to many that in this increasingly digital age, direct mail has been all but forgotten by many businesses. Written off by marketing gurus and experts with the advent of email marketing and online advertising, the number of letters, flyers and dropcards is certainly not as high as it once was. In reality, it’s not hard to see why; email marketing is relatively inexpensive, it’s measurable and with the right data supplier it’s highly targeted too. However, its incredible popularity has meant that prospects are bombarded with different messages daily and in many cases, privacy and best practice has sadly fallen by the wayside. This mis-use by less reputable third-party suppliers is one of many reasons why we saw the introduction of GDPR – the new, wide-spanning data regulation. 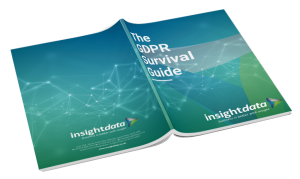 The focus of GDPR is to ensure data is lawfully managed, processed and safeguarded, and that the rights of every individual (the data subject) to see, alter or even delete their records are respected. Whilst this has undoubtedly created a number of challenges for businesses – especially those who manage their own data list, it can be seen as a ‘necessary evil’. Not only did unsolicited emails and spam dry-up almost overnight, the threat of €20 million fines was enough to scare many of those who were brazenly mis-using data. Six months on from GDPR and these traditional marketing techniques such as direct mail are now very much back in vogue. Businesses are returning to the faithful leaflet drop or sales letter, where computers are cut-out entirely and all you need is postcodes in the local area. It can be incredibly hard to cut through the clutter across digital channels. With the transient nature of email, today’s message is not necessarily as visible tomorrow. Direct mail on the other hand is physical, it’s tangible and is more likely to be kept and looked at again in the future. 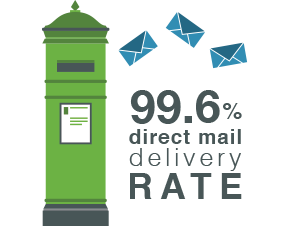 In fact, research by the Direct Marketing Association (DMA) has found that direct mail response rates are 10-30 times higher compared to that of digital. Whilst digital communications and email marketing are crowded and don’t always guarantee the best results, direct marketing is still relatively untapped and provides plenty of potential. So, should you go right ahead and pull your email marketing budget and plough it straight into direct mail? Well, no. The best and most effective marketing strategies are multi-channel, combining the right mix of both print and digital marketing. Whilst a well-crafted, enticing email campaign can get in front (and in the pockets) of key decision makers, dynamic, interesting direct mail gives something physical that potential customers can hold in their hands and ultimately keep to refer to in the future. As the UK’s leading provider of prospect data for the glazing and construction industries, Insight Data supports businesses at every level with their range of digital and direct marketing services. Their in-house team of marketing specialists design, build and send high-impact email and direct mail campaigns on behalf of their customers – managing the entire process. For those with more experience, they can take advantage of STEM, Insight Data’s very own email marketing platform built into their online prospect database and CRM system Salestracker. Either way, campaigns take advantage of Salestracker’s unrivalled live data which provides up-to-date contact details and business information for over 60,000 potential customers including glazing companies, local builders, main contractors and architects. Before you invest all your marketing budget in email marketing, it may be time to re-visit those trusty techniques as part of a varied, multi-point strategy. After all, direct mail has not only stood the test of time, it is arguably delivering the best results. 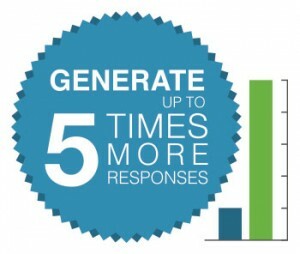 This entry was posted in Email Marketing, Marketing, News. Bookmark the permalink.